What a week it will be! We are making some companion crafts to go along with one of my favorite activities, the Expanding Expression Tool. This is a fabulous visual and tactile took that was made by a speech-language pathologist to assist in getting children to expand their language output, either via written, oral, or other means. 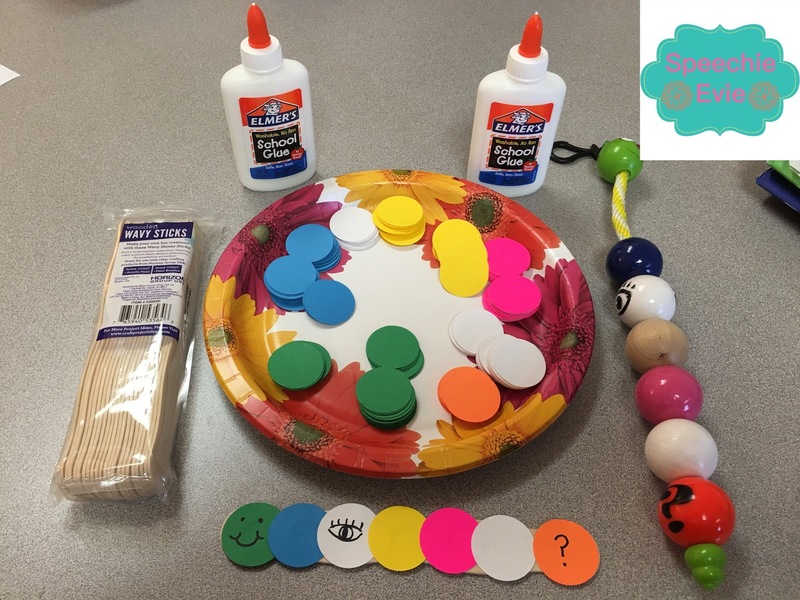 In order to get students to really think about what the color-coded system means, I came across a fun craftivity on TPT by Teaching Resource Resort. My students really seemed to enjoy the hands-on approach to learning this system. 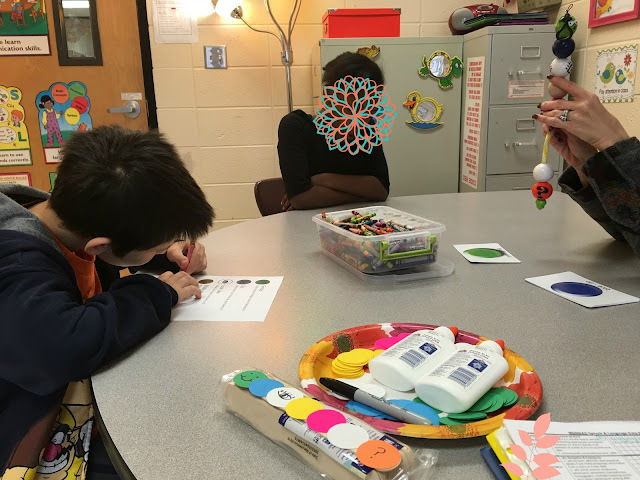 Once we had our review pages colored, each student used a wooden craft stick, some glue, some circle punched colors, and markers and made their own "caterpillar." We also used a great resource from Creative Communicators on reminders for what each colored ball means. After we had our caterpillars assembled, we reviewed the story we read last week, the Paddington Bear Treasuries, and each student picked an item or character from the chapter we read to describe in detail using the EET kit. 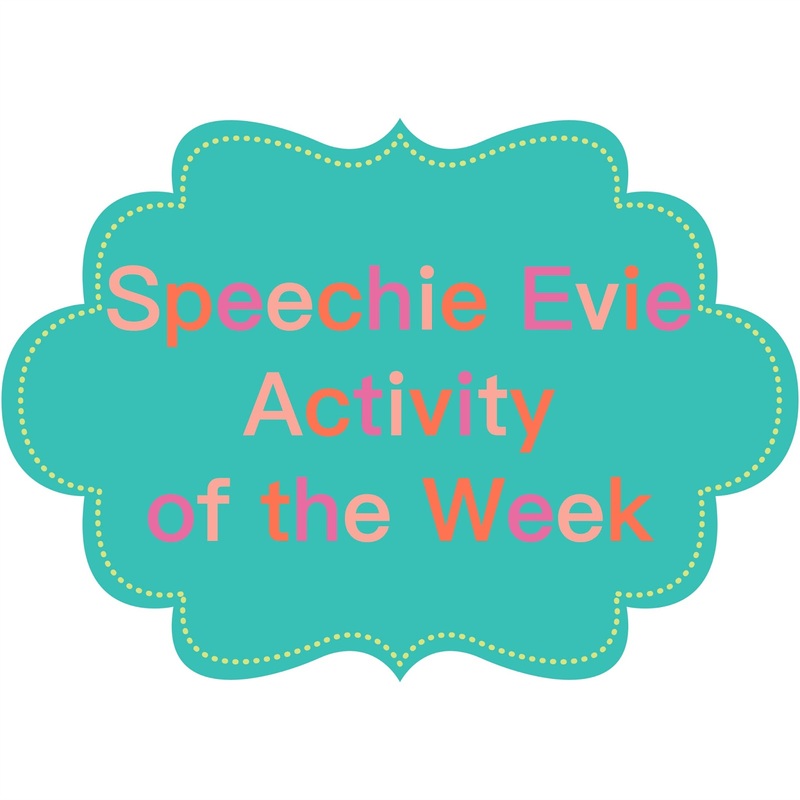 We got some great language expansions with this activity! Not only did we tie the approach to our theme from last week with some nice reviews of previously learned information, we got to hone our skills even deeper and stronger with this craft. I highly recommend it! Now, as we progress through the semester, each student will have their own personal visual to use as a reference for future activities! I have a new graduate student...Now what?